768 Keough Street is located in Bishop California, in the Downtown Area. This home is located on a quiet street with lots of open DWP land within walking distance. This home has all the charm one could ask for in a 3 bedroom 1.75 bath home located on a quiet downtown street. Hardwood flooring in living room and 2 guest bedrooms, master bedroom has carpet. New interior paint, and attached laundry room area. This home has dual pane windows and propane heating. The home has a nice fully landscaped private yard, including mature trees. 1 car detached garage, with more off street parking and storage shed. 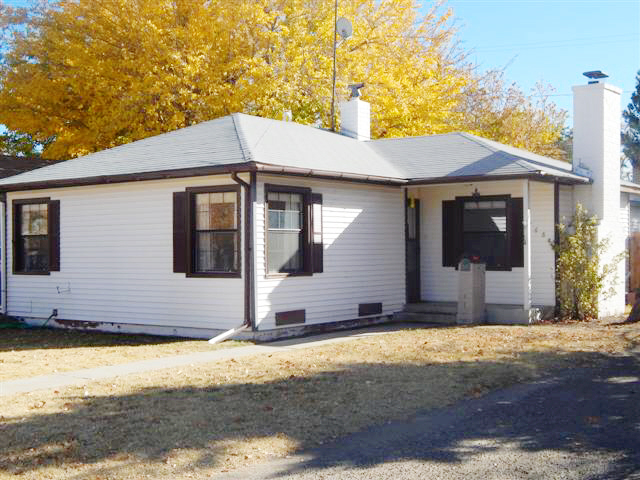 This is a much sought after area of Downtown Bishop area due to the few listings. This very safe and family friendly neighborhood is walking distance from the local Elementary, Jr High, and High Schools. DWP land offers walking trails and picnic areas for summertime outings. The Tri County Fair Grounds and Bishop Nursery are conveniently close by. Eastern Sierra Realty is dedicated to serving the local communities of Bishop, Big Pine, Independence, Chalfant Valley, Aspendell, Swall Meadows, Paradise, and Inyo and Mono Counties. Feel free to call with any Real Estate Needs at (760) 873-4161.